3 successful, shining young adults remember their beginnings: Before they became confident, educated and productive members of society, our protagonists were vulnerable children from world's most destitute areas. Jarusa of Masaai land, Ben from Kenya's Kibera slum and Joseph, an orphan of the Rwanda genocide were each fortunate enough to be embraced and supported by the African Children's Choir, a non-for-profit organization changing the lives of hundreds of children all over Africa. 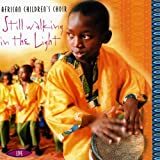 Contribute to the African Children's Choir.